It might be our best Android phone of 2015, but that doesn’t mean the Samsung Galaxy S6 Edge+ is without problems. Here are some fixes to some of the more common issues you may encounter with your Galaxy S6 Edge+ and how to fix them. This is a very common problem for users of the Galaxy S6 Edge+ and other Samsung phones. If your phone doesn’t recognize your fingerprint as often as you would like, try setting it up in a different way. The trick is not to press your finger or thumb to the sensor in the same way 10 times, because we rarely touch the scanner in the same way twice. So firstly, go to Settings > Lock screen and security > Fingerprints > Add fingerprint. Use your phone and just press your finger or thumb on the sensor in the way you naturally would to unlock it. Don't try to guess how the sensor wants you to unlock it. I unlock my phone with my thumb on its side because this is most natural for me. In each step, try to apply your thumb in a slightly different way to make sure the software recognizes all the different possibilities. Your fingerprint scanner should work better from now on. This is a rare problem but some users have reported that the mobile data and other icons in the quick toggles menu have disappeared from their Galaxy S6 Edge+ and S6 Edge. While a factory reset has been suggested as one way to fix it, there is a APK file that has successfully restored the toggle over at XDA Developers. Sideload this at your own risk. On some Galaxy S6 Edge+ models, the brightness will adjust to automatically even when automatic brightness is not enabled. You can see an example of this on the S6 Edge in the video below. Thankfully, the guys over at the XDA Developers forums have the fix for this once again. Check it out at the link. There have been reports of wireless charging problems for the Galaxy S6 Edge+, even when using an official Samsung charger. It seems that the charging pauses or stops working before the S6 Edge+ has fully charged. There are two potential solutions to this. Go to Settings > Display > Wallpaper > Daydream > On > More > Select when to daydream > and set it to While charging. This prevents the phone from locking, and some users have said it works. Alternatively, turn on the night clock in Settings > Edge screen > Night clock. Reportedly the minute battery power this requires is enough to keep the phone continuously charging. Is the battery life of your Galaxy S6 Edge+ running out too quickly? You aren’t the only one. If you are experiencing this, we have a few ideas. Firstly you can try making better use of the Edge display. It may sound counter-intuitive, but because the Edge screen only utilizes a portion of the display, it can be an effective measure to reducing battery life issues. Set it up for night clock and information stream so that you don’t need to unlock your phone to check find out the time, weather or latest news. We also have some more general tips on how to save battery life on Android. 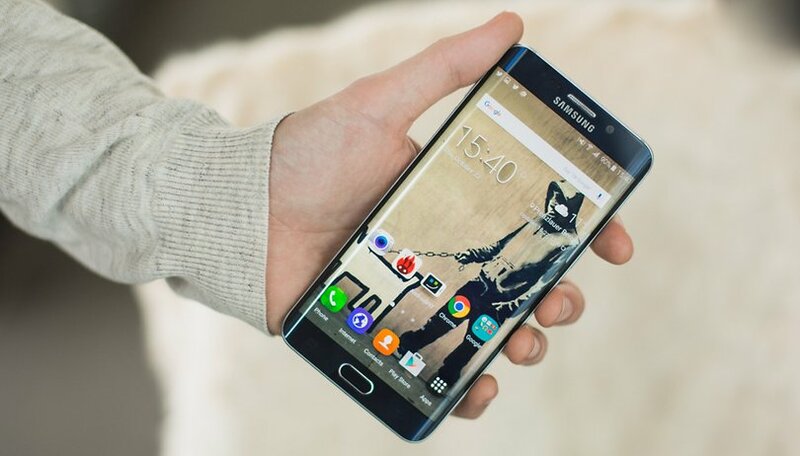 Are you having problems with your Galaxy S6 Edge+? Let us know what they are in the comments and we'll see if we can help. Has anybody been able to fix the data connectivity issue after Marshmallow? I've got a Galaxy 6 Edge+ and can browse the internet on a browser but cannot access via the PlayStore or data-dependent apps such as FB. A restore of text and 'phone messages from Verizon's Cloud worked just fine, and Samsung's stock apps reinstalled just fine. I spoke with Google Support and they said that I have tried everything they have, and I'm now supposed to contact Samsung. I have the problem of my phone not sending me notifications on calls, messages etc. It also calls other people when I am in a call, puts my phone on speaker and hangs up on people. The company sent me a new phone. During the process of getting one phone switched over, the old one called the cell store twice. Now I have a new one. Same problems plus now the pixels aren't working correctly on this one. I have had it for 3 days. I have a peculiar problem on my edge+ when i play games. I'm unable to click on some objects. the screen just moves around instead of selecting the object I want. I'm not sure where the problem lies. The touch on my phone is generally OK.